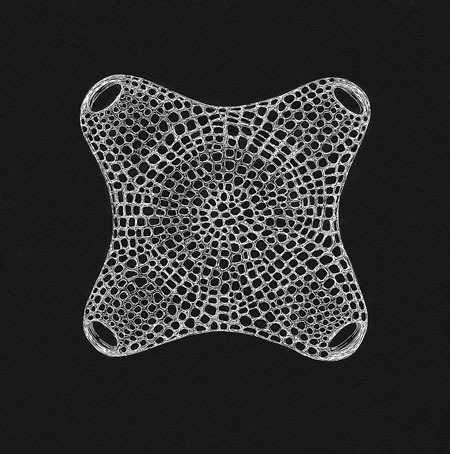 Geometry and Pattern in Nature 1: Exploring the shapes of diatom frustules with Johan Gielis' Superformula. I have always been intrigued by geometry and patterns. Examining diatom frustules for the first time under the microscope, I was captivated by the perfection of their symmetry. 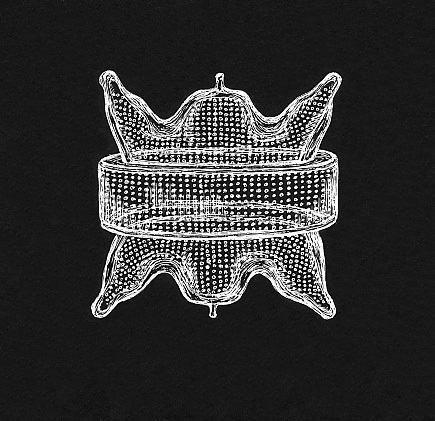 It was through my motivation to find out more about the precise regularity in the simple, but perfect, frustule forms that I came across Johan Gielis' Superformula, a fascinating concept that interlinks a number of shapes found in living organisms through variations on a single mathematical equation. Some sources have stated that previous mathematical concepts relating to the properties of shapes and patterns have tended to “exist in isolation”, sharing few unifying characteristics with other concepts. 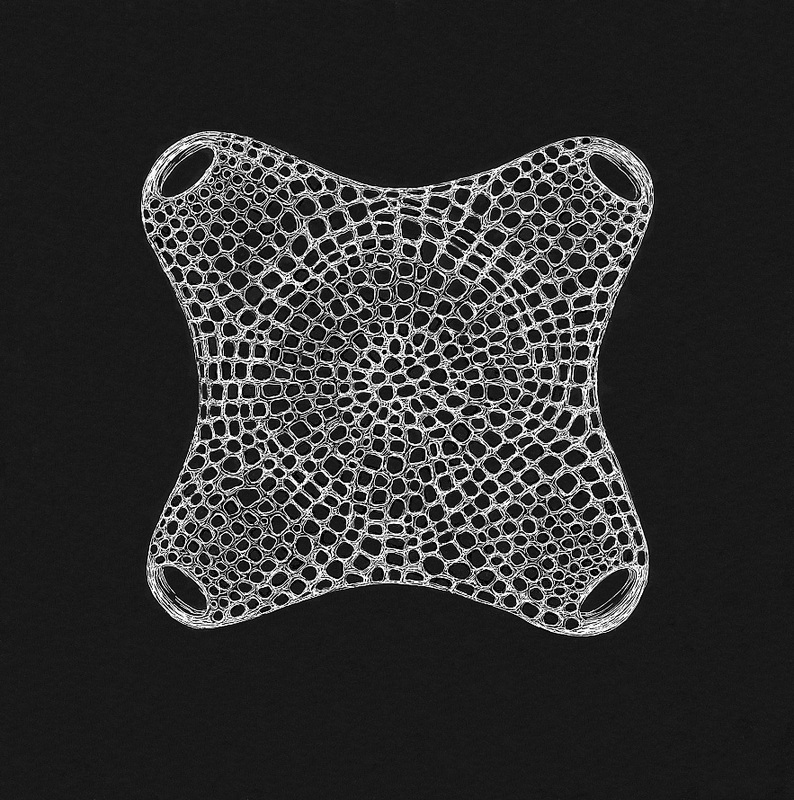 Johan Gielis' Superformula, by contrast, can generate a spectacular array of symmetrical organic forms, including those of diatoms, starfish and flowers. The Belgian scientist's Superformula draws on an equation originated by Piet Hein more than 200 years ago. Advancements in the past few years have only really been made through the development of computer technology, which has facilitated the discovery of the apparently endless shape-generating ability of the equation! The Superformula is a combination of the equation for a circle (r², where r=radius) with that for a superellipse. A superellipse is a specific type of mathematical curve that produces a number of different shapes, for example, astroids, circles and diamonds, depending on the power the sine and cosine terms are raised to. For a more detailed explanation and mathematical equations, please see: http://astronomy.swin.edu.au/~pbourke/surfaces/superellipse and http://astronomy.swin.edu.au/~pbourke/curves/supershape. The resulting Superformula equation has the potential to create a wide variety of shapes due to the presence of a number of variables, or parameters, within it. Adjusting these variables, of which there are 6 in all, produces not only circles but triangles, squares, star shapes and other many-sided figures, figures with bilateral (reflective) symmetry rather than rotational symmetry, and asymmetric figures; these "ideal" figures generated in this way are termed “Supershapes”. The equations for the Superformula may also be combined with those of the logarithmic spiral to produce spiral shapes, or with those of other Supershapes to produce three-dimensional forms; more variables could in theory be added to describe more complex structures. It has been argued that the formula is open to accommodating too many parameters. A humorous quote by a mathematician suggests that the formula for an elephant could be arrived at using sufficient parameters; the point of view being made here is that more parameters, in mathematical terms, are not necessarily better, and that a simpler but more effective equation would be less complicated to use. Nature may or may not function along similar lines of logic when creating its own Supershapes! However, the similarity between shapes created by the Superformula and those in nature is striking, and Gielis' method proves an interesting one for describing and investigating geometry in living organisms. The expression of variations on the Superformula as computer-generated “virtual” shapes shares interesting parallels with the mechanism of gene expression. The phenotype of an organism is a direct expression of its genotype (barring environmental influences), with the role of the numbered variables in the Superformula being taken by DNA molecules made up of nucleotides that in combination govern the dimensions and proportions of an organism. In the same way that the science of genetics assumes the evolution of organisms, and genes, from a common “ancestor” or ancestral gene, so too do Supershapes originate from the Superformula, where the simplest shape, in terms of mathematical description and form, is that of the circle. It is worthy of note that the simplest and most primitive organisms are circular, although their form is probably due to the environmental forces surrounding and acting upon them, and also their relatively small size. Obviously, Gielis' equation does not and cannot encompass all natural forms; Gielis himself makes no claims that the formula is a “theory of everything”, as has been cited in some spheres. Whilst it can be used to describe a number of organic forms, it most certainly cannot be used to describe inorganic forms, such as crystal structures, easily; nor does it take account of fractal forms, which are found throughout the organic and inorganic worlds. 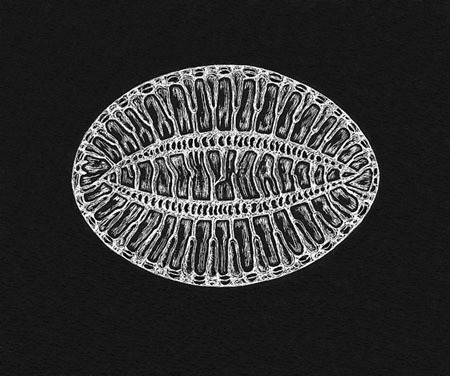 The drawings of diatoms shown below are from slides by Brian Darnton, prepared from material collected at the Westerschelde, The Netherlands. Diatoms are a group of organisms worthy of study in conjunction with the Superformula, since their many different frustule shapes coincidentally show the type of variation expressed through alteration of certain variables within the equation, and also very clearly defined rotational and/or reflective symmetry. It is not easy to explain how the parameters of the Gielis equation combine to create the shapes that they do, but, broadly, radial symmetry is controlled by the parameter m, inside the sine and cosine functions. By changing the value of m, the number of sides of a figure can be adjusted. 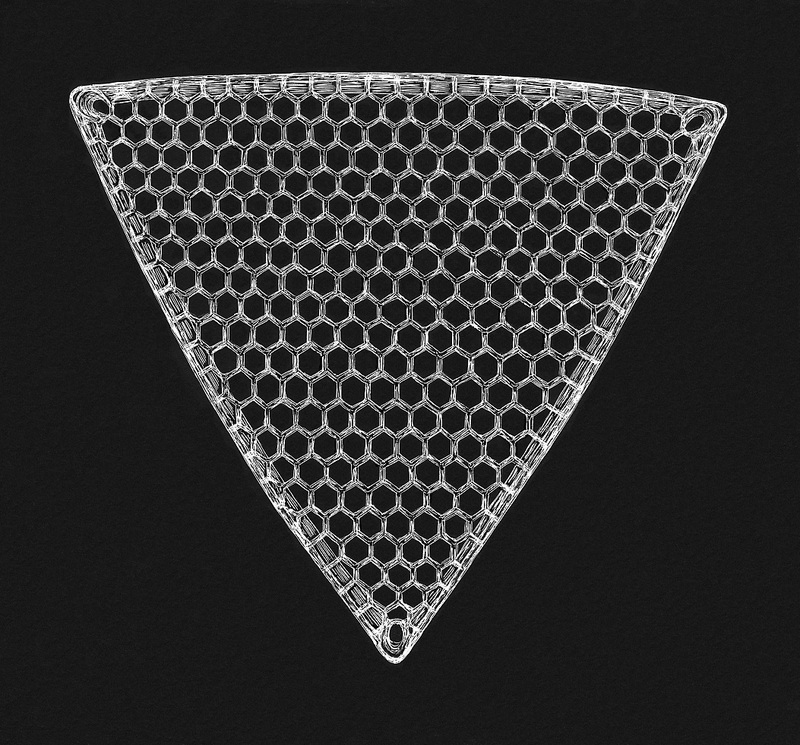 This may lead, in combination with the other parameters in the equation, to shapes mimicking those of the pennate diatoms with two sides, Triceratium favum with three sides, and the four- and five-sided diatoms. 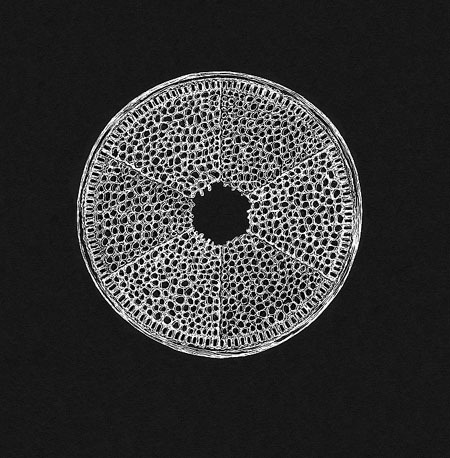 The circular shape of the centric diatom Actinoptychus senarius occurs where m=0 (r=1). Click image to view the original. 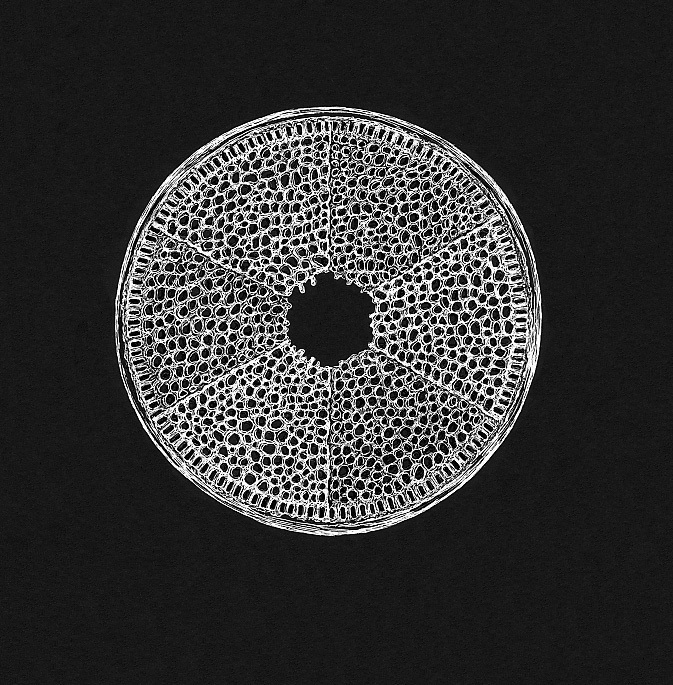 The ovoid shape of this Surirella species, as well as the shapes of most other pennate diatoms, could be best described by increasing the value of m to 2. Triceratium favum Ehrenberg. This species is abundant in samples taken from the Westerschelde. ...whereas the four-sided shapes shown here, including the rhomboid shape of the pennate diatom Pleurosigma angulatum, are achieved when m=4. Biddulphia antediluviana (Ehrenberg) van Heurk forma antediluviana. Pleurosigma angulatum (Quekett) Wm. Smith. N.B. 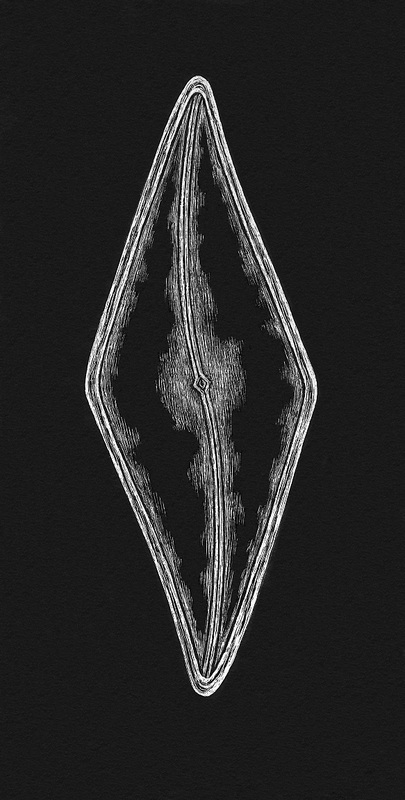 The twisted appearance of P.angulatum would not be possible without the addition of more parameters. 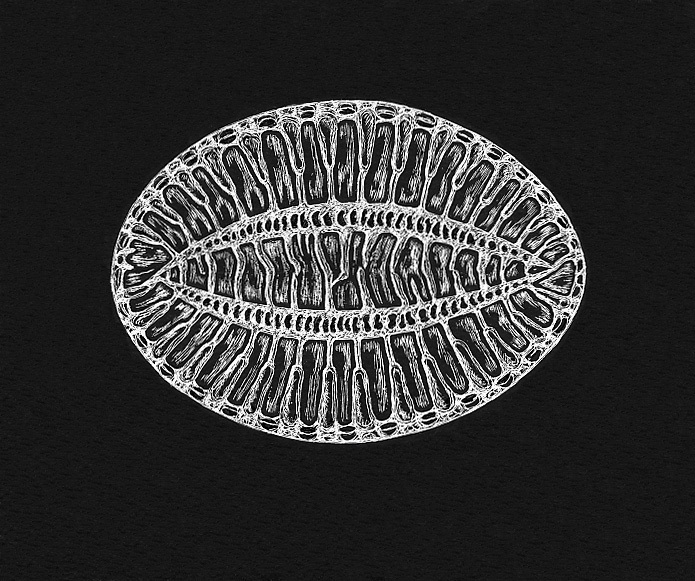 This particular species was a favourite test diatom with the Victorians. The relative sizes of the powers (n1, n2, n3) determine whether the figure takes on a “pinched” or “bloated” appearance, and the degree to which it does so. The extent of curvature of the sides of the figure is controlled by the absolute values of the n-powers. Biddulphia aurita (Lyngbye) de Brebisson. My especial thanks go to Paul Bourke, for clarifying the Superformula equations, and to Brian Darnton, for providing the diatom slides and species identification. Identification source: An Introductory Account of the Smaller Algae of British Coastal Waters, Part V - Bacillariophyceae (Diatoms). N.Ingram Hendey, HMSO, 1964. All images © Christina Brodie 2003. Published in the April 2004 edition of Micscape Magazine.